Ever wonder how you keep a building under construction heated during the winter months while parts of the building have no windows? One of the many challenges of construction in the cold winter months is keeping the building and workers warm. Here is a photo of the Essentia Grand Rapids clinic in northern Minnesota. 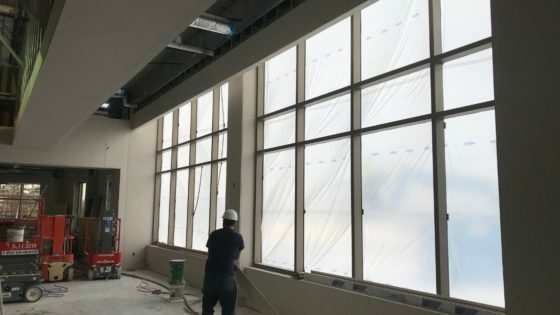 The windows are covered with a temporary visqueen barrier, enabling the contractors to heat the space so that construction remains on schedule. This building is slated to open in April 2018.